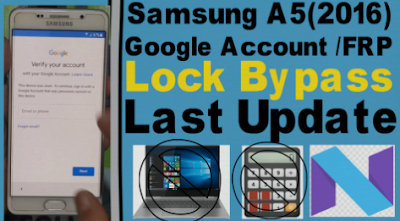 Samsung A5(2016) Google Account /FRP Lock Bypass Last Update Without Pc. Samsung A5 (2016) FRP BYPASS REQUIRED FILE. Samsung A5 (2016) FRP BYPASS METHOD.